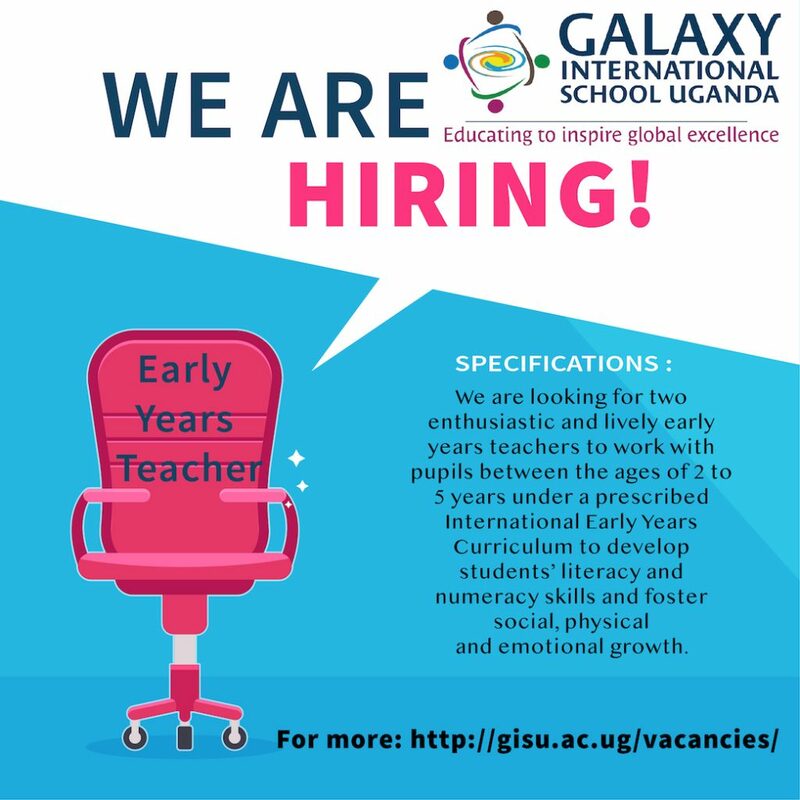 About: Galaxy International School Uganda (GISU) is a co-educational school located in Lubowa, the school provides international education to students between 2 and half up to 19 years of age. From Early Years to Year 13 students are taught using student-centered methods. Emphasis is on the development of the whole person by producing creative, self-reliant, respectful and moral individuals who will build a better world for us all. Job brief: We are looking for two enthusiastic and lively early years teachers to work with pupils between the ages of 2 to 5 years under a prescribed International Early Years Curriculum to develop students’ literacy and numeracy skills and foster social, physical and emotional growth. This role includes planning, implementing and assessing developmental stages of learners with patience and creativity. When required, the School Management can change your work assignments to fit the Education needs of the school. Good judgement and an analytical mind.